I have always been fascinated by the idea of keeping bees. This was natural because my summer days were spent helping Grandpa on the farm. Chickens, pigs, cows and gardens – these were my summer activities. We were homesteading but we just didn’t know it. Grandpa grew up during the depression – he called this “getting by”. But, he did not have bees and I did not know anyone who did. Alas, I had no one to teach me so I struggled to learn on my own. After years of study, I achieved my beekeeping goal. In 2012, I became the first Female Master Beekeeper in South Carolina. My love for bees and my desire to help others have combined into some awesome opportunities! Are you new to the world of Beekeeping? Ready for your first hive but you are not sure where to start? If so, this section is for you! These are some of my top posts for beginning beekeepers. Not everyone wants to have a bee hive in their backyard. That’s okay. 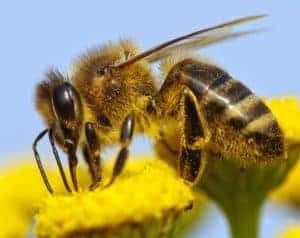 You can still help save honey bees (and other pollinators) by creating gardens for bees, making wise choices for weed control, and buying real honey from real beekeepers. Educate yourself and others on ways to help honey bees and other pollinators. 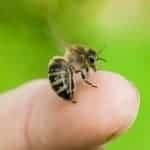 Even if you are not interested in honey production, having bees will increase yield for your homestead garden! The value provided by honey bees affects all of us. Even if you are not a beekeeper, you will find educational bee information within the pages of my blog. From “How Honey bees survive Winter” to “Why Honey Crystallizes” learn about all things bee! Check them out ! Want to get to know me better and meet some of my beekeeping friends? Join my beekeeping group on Facebook. 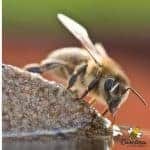 Carolina Honeybees Help For Beginner Beekeepers! I love making special products. Items are limited and seasonal. 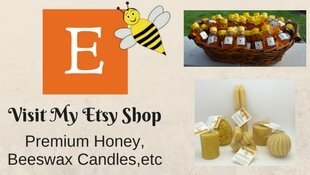 Check out my Etsy!